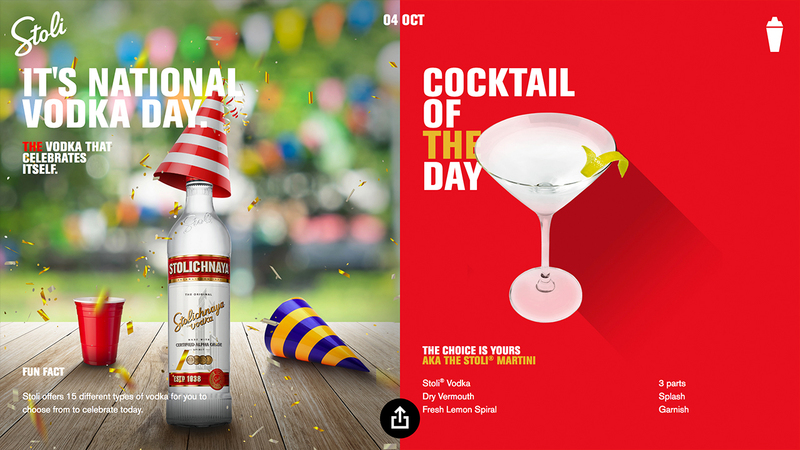 Everyday is a new day with Stoli. 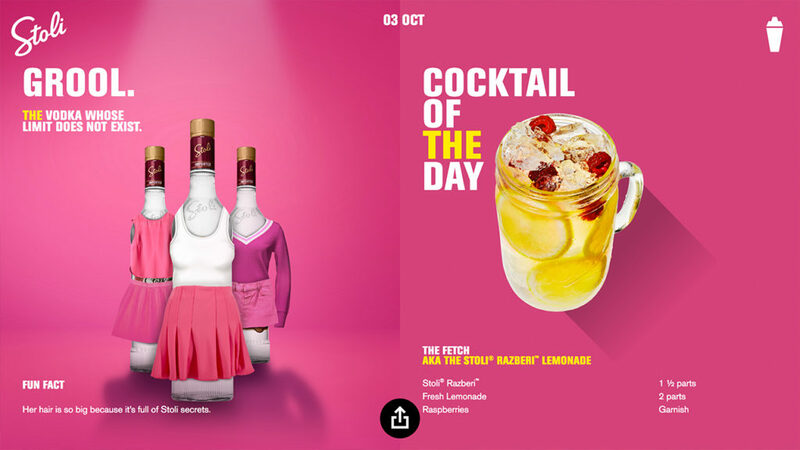 Engage Stoli website visitors with fresh creative every day – and a supporting cocktail recipe, of course! 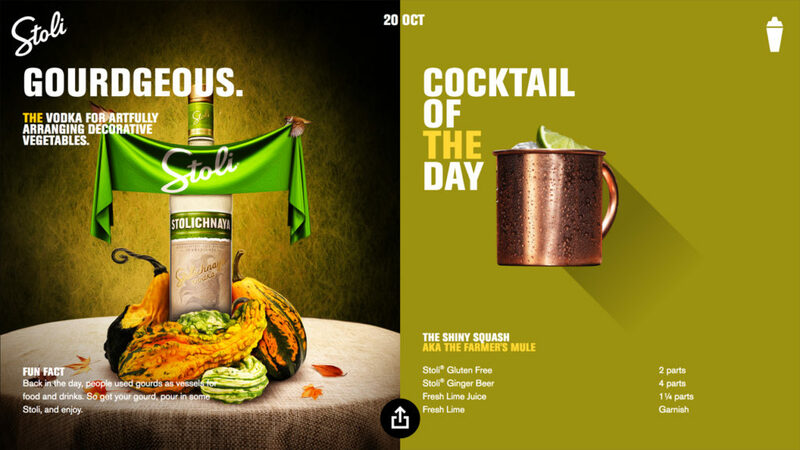 Through photo manipulation and custom design, we develop creative assets that inject Stoli into the conversation of the day. 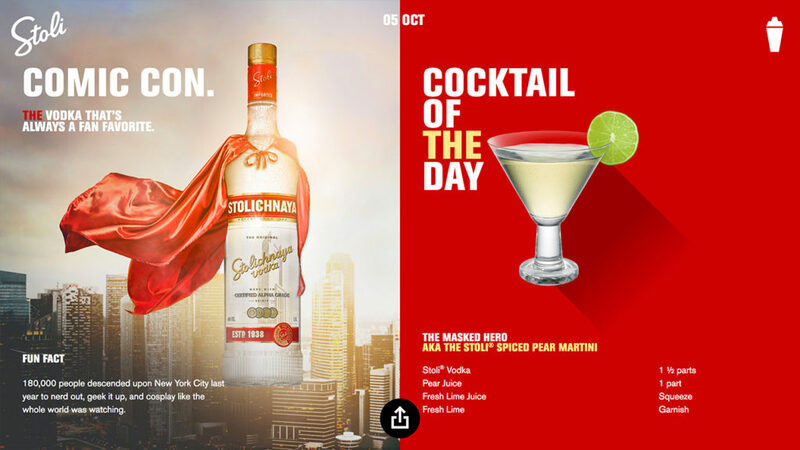 From Comic Con to National Vodka Day, we don’t need much of an excuse to stir up a cocktail. 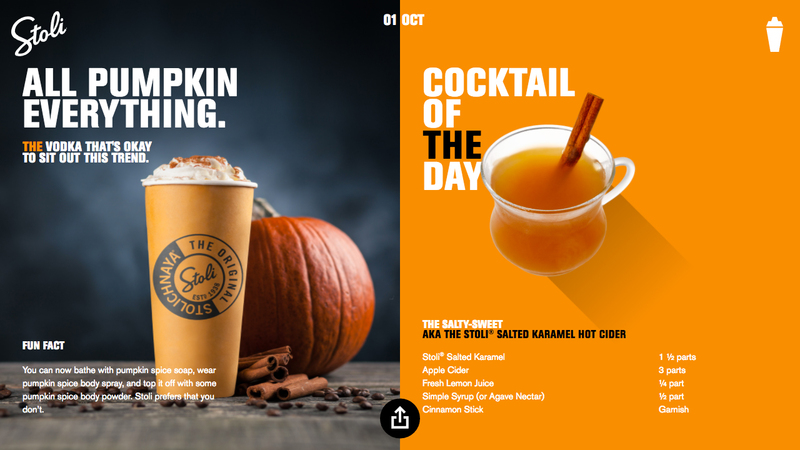 Plus, we’re seeing increased site engagement as we encourage visitors to explore the recipes and endless possibilities that Stoli offers.